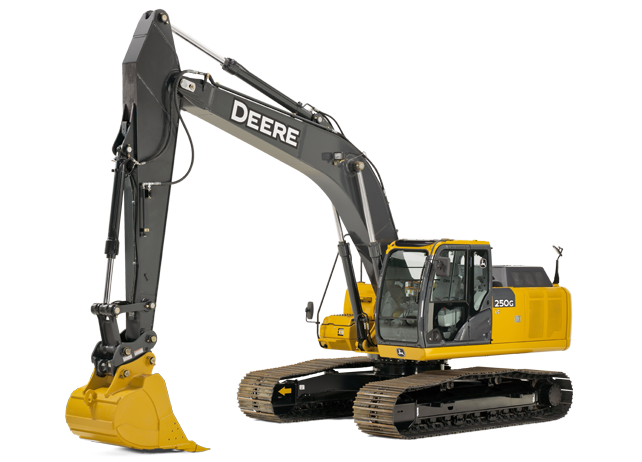 Looking to rent a construction class excavator, John Deere 250G LC, in Rochester NY, Ithaca NY and Western New York? Engine Overview: Interim Tier 4-certified dieselPowerwise™ III management system, cool-on-demand, hydraulically driven. Power Generation: Net Rated Power 188 horse power at 2,100 rpm. Maximum Digging Depth: 25 feet. Arm Digging Force: 25,22 to 25,628 pounds.